Plans for the next Rocket Lab launch in New Zealand, the company's first fully commercial flight, have been confirmed. Rocket Lab have confirmed a 14-day window for its first fully commercial launch. The US company, which launches from the Mahia Peninsula on the east coast of the North Island, confirmed on Wednesday that an Electron satellite launch, called "It's Business Time", would have a window between April 20 and May 11. On each of those days there will be a four-hour launch period from 12.30pm (NZT). It would deliver payload for customers Spire Global and GeoOptics Inc into orbit. "It's Business Time represents the shift to responsive space," says Rocket Lab founder and chief executive Peter Beck. "We always set out to create a vehicle and launch site that could offer the world's most frequent launch capability and we're achieving that in record time." To meet a burgeoning 2018/19 launch manifest, Mr Beck said Rocket Lab had rapidly scaled production of the Electron launch vehicle across its three-acre headquarters and production facility in Huntington Beach, California. The company will produce 100 3D printed Rutherford engines this year to support a monthly launch cadence by the end of this year. "It's Business Time" will be live-streamed to the public, with the feed available 15 minutes before launch at rocketlabusa.com. Rocket Lab has confirmed a 14-day window for its first fully commercial launch. The US company, which launches from the Mahia Peninsula, confirmed on Wednesday an Electron satellite launch would have a window between April 20 and May 3. The launch would be called "It's Business Time" an apparent nod to the Kiwi comedy classic song by Flight of the Conchords. "It's Business Time represents the shift to responsive space," said Rocket Lab founder and chief executive Peter Beck. Rocket Lab chief executive Peter Beck at Mahia Peninsula. Photo / Warren Buckland. The company would produce 100 3D printed Rutherford engines this year to support a monthly launch cadence by the end of this year. The Electron satellite called "It's Business Time" will be launched from Mahia Peninsula near Hawke's Bay, some time between April 20 and May 11 . The satellite is being sent into orbit for Spire Global and GeoOptics Inc. Rocket Lab founder and chief executive Peter Beck said the company was producing 100 Rutherford engines this year to support a schedule of monthly satellite launches. 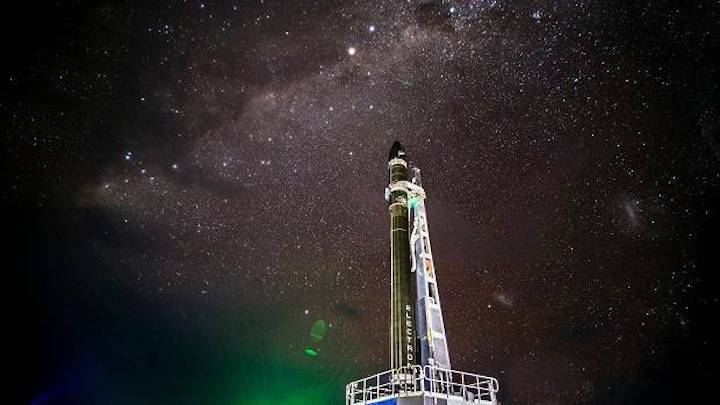 A fuelling issue at a Rocket Lab dress rehearsal has resulted in a emergency services response and activity on their landing pad on Mahia Peninsula suspended for the day. Rocket Lab chief executive Peter Beck said the company "experienced a minor fuelling issue on the pad today during a wet dress rehearsal" on Sunday. "Our team is working through the data to ascertain the root cause. As per standard procedure, Fire and Emergency New Zealand is on site as a precautionary measure while the team closes out pad activities for the day." Fire Emergency New Zealand have been approched for comment. Earlier in the month Rocket Lab confirmed a 14-day window for its first fully commercial launch. he US company, which launches from the Mahia Peninsula, confirmed on Wednesday an Electron satellite launch would have a window between April 20 and May 3. "It's Business Time represents the shift to responsive space," Beck said. 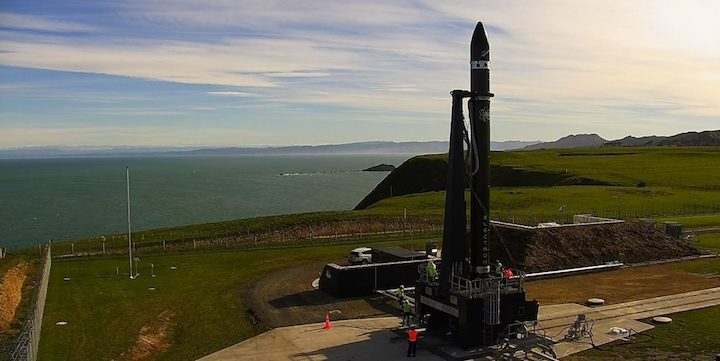 Weather conditions in Mahia, and technical issues with a rocket motor, have resulted in orbital launch provider Rocket Lab delaying the launch of its first commercial venture aimed at putting private satellites into orbit. A statement from the United States-owned company confirmed it would move the launch, scheduled between April 20 and May 3, to the next available launch window in coming weeks. The shift comes after the pad team identified some unusual motor-controller behaviour during a wet dress rehearsal this week. "With just days between rehearsal and window opening, the call to move the window is a conservative one made to allow the team additional time to review data," the company said. "Rocket Lab is able to operate with schedule flexibility and move into different windows as a result of operating its own private orbital launch site. "The new launch window is due to open in the coming weeks with defined dates to be confirmed soon." Emergency services attended the launch complex as a matter of course on Tuesday, once the issue with the motor was noticed. However, a company spokeswoman pointed out that while the issue occurred during fuelling, it was not a fuel issue. The company's commercial mission, named "It's Business Time", includes manifested payloads for launch customers Spire Global and GeoOptics Inc, built by Tyvak Nano-Satellite Systems, and follows two previous test rocket launches from its launch complex at Onenui Station. 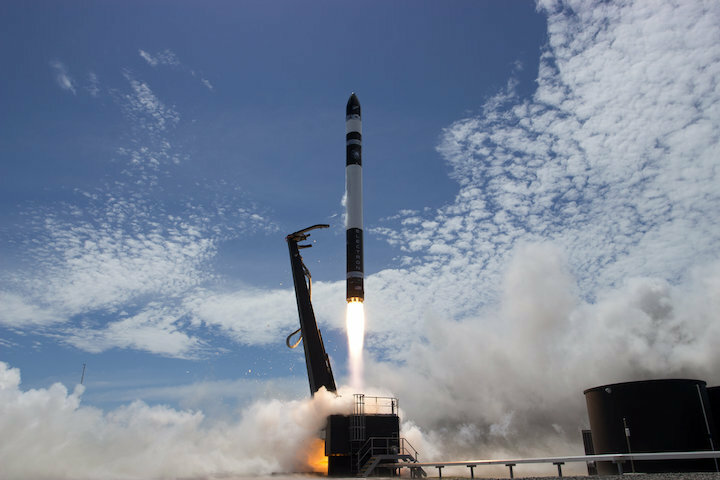 Rocket Lab is the only small launch provider to have reached orbit and recently announced it had scaled production of its Electron launch vehicle across its production facility in Huntington Beach, California. The company, founded by New Zealander Peter Beck, intends to produce 100 3D-printed Rutherford engines this year to support a monthly launch cadence from its Mahia launch complex by the end of the year. The flight will constitute the smallest class of dedicated launch services used by NASA and marks a significant milestone for Rocket Lab in providing access to space for a NASA-sponsored mission of small satellites. “We’re incredibly excited to be launching NASA’s first Venture Class mission,” says Rocket Lab founder and CEO Peter Beck. “The VCLS contract by NASA’s Launch Services Program is very forward-thinking and a direct response to the small satellite industry’s changing needs for rapid and repeatable access to orbit. Big ideas used to require big rockets, but thanks to the miniaturisation of technology, the small satellites of today can conduct innovative science that helps us better understand the Earth and our universe. The launch is manifested with research and development payloads from NASA and educational institutions that will conduct a wide variety of new, on-orbit science. Applications of the CubeSats booked on the mission include research such as measuring radiation in the Van Allen belts to understand their impact on spacecraft, through to monitoring space weather. Before Rocket Lab’s Electron vehicle, launch opportunities for small satellites were mostly limited to rideshare-type arrangements on large launch vehicles, flying only when space was available on NASA and other launches. This can be impractical for some small satellite payloads, as they are at the mercy of the primary payload’s schedule and desired orbit. 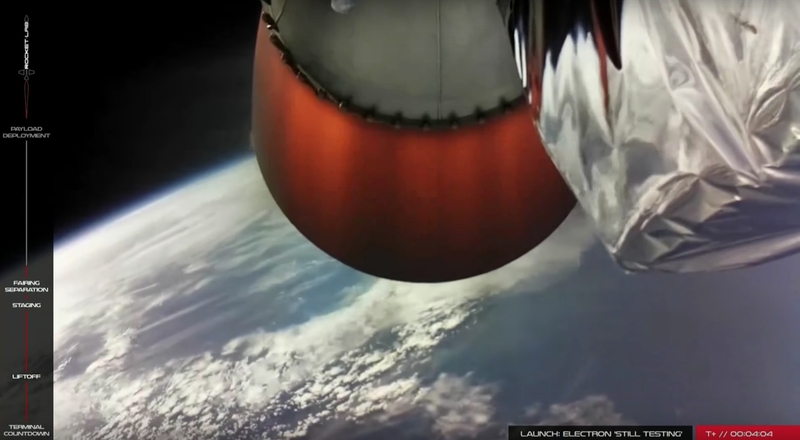 Rocket Lab’s Electron is the only private, small launch vehicle currently flying to orbit and offering the dedicated flights tailored to these small payloads. “Venture Class launches are about freeing small satellite payloads from the barriers they currently face in trying to access space on larger launch platforms as secondary payloads. It’s fantastic to see NASA enabling this change and embracing private small launch vehicles like Electron,” adds Beck. Ten CubeSats manifested on the mission are receiving their access to space through a NASA initiative called the CubeSat Launch Initiative (CSLI) and are part of the 19th Educational Launch of Nanosatellites, or ELaNa-19. The program recognises that CubeSats are playing an increasingly larger role in exploration, technology demonstration, scientific research and educational investigations. These miniature satellites provide a low-cost platform for both research and commercial applications, including planetary space exploration; Earth observation; Earth and space science; and developing precursor science instruments like laser communications, satellite-to-satellite communications and autonomous movement capabilities. The recent payload integration process, which took place at Rocket Lab USA’s facility in Huntington Beach, California, involves conducting final spacecraft checks and preparations before the CubeSats are loaded into dispensers that protect the payloads during launch, then deploy them from the Electron vehicle once in low Earth orbit. 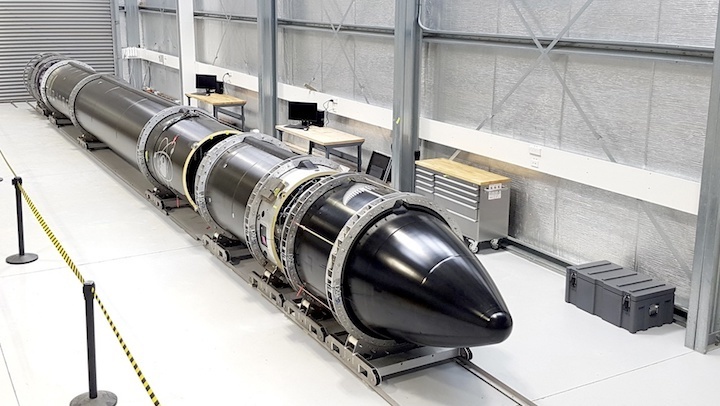 LOS ANGELES — Rocket Lab announced May 25 it has rescheduled the next launch of its Electron small rocket for late June after correcting a problem that delayed an April launch attempt. The company had planned to carry out the launch in April but postponed the launch after detecting a problem with a motor controller for a pump in one of the rocket’s nine first stage engines. At the time of that delay the company hoped to reschedule the launch for May, but diagnosing the problem took longer than expected. Part of the rocket is already back at the launch site, he said, with the rest arriving by May 28 to begin pre-launch preparations. Beck said that the company made no other changes to the rocket while correcting the motor controller issue. Rocket Lab did use the delay to add two more satellites to the vehicle. One, Irvine01, is an educational payload developed by the Irvine CubeSat STEM Program, an organization that includes six high schools in Southern California. The other is NABEO, a payload developed by High Performance Space Structure Systems GmbH that will test a deployable drag sail that can be used to deorbit satellites. Beck said that Rocket Lab was already in discussions about flying those satellites on a later mission when the opportunity opened up to include them on this launch. The company has been building up capabilities to quickly do the necessary analysis for integrating payloads on its rockets. Those payloads join three others previously manifested on the rocket. Two are Lemur-2 satellites from Spire and one is a satellite built by Tyvak Nano-Satellite Systems for GeoOptics. All the payloads will be launched into an orbit of 250 by 500 kilometers at an inclination of 85 degrees, after which a Rocket Lab kick stage will circularize the orbit. Despite the delay, Rocket Lab is still planning to reach a cadence of one launch a month this year. Beck said that the next launch, for NASA’s Venture Class Launch Services program, will be “pretty close on the heels” of this launch, but the company hasn’t announced a launch date for that mission yet. Rocket Lab has confirmed a new launch window for its upcoming "It's Business Time" mission. The 14-day launch window will open from 23 June to 6 July, with daily launch opportunities between 12:30pm and 4:30pm. New customers have been added to the launch manifest, including IRVINE01, an educational payload from the Irvine CubeSat STEM Program (ICSP), and NABEO, a drag sail technology demonstrator designed and built by High Performance Space Structure Systems GmBH. The new payloads join existing customers, two Lemur-2 satellites from Spire Global and a GeoOptics Inc. satellite by Tyvak NanoSatellite Systems. The payloads will be launched to a 500km x 250km elliptical orbit at 85 degrees, before being circularised using Rocket Lab's Curie engine powered kick stage. Peter Beck, Rocket Lab CEO and founder, said the addition of new payloads highlights Rocket Lab's ability to respond rapidly to customer demand in an ever-evolving small satellite market. "Rocket Lab's responsive space model is crucial to support the exponential growth of the small satellite market," Beck said. "That a customer can come to us seeking a ride to orbit and we can have them booked to launch in weeks is unheard of in the launch business." "It's Business Time" will launch from Rocket Lab Launch Complex 1 in New Zealand. 'Gearing up' for third flight. 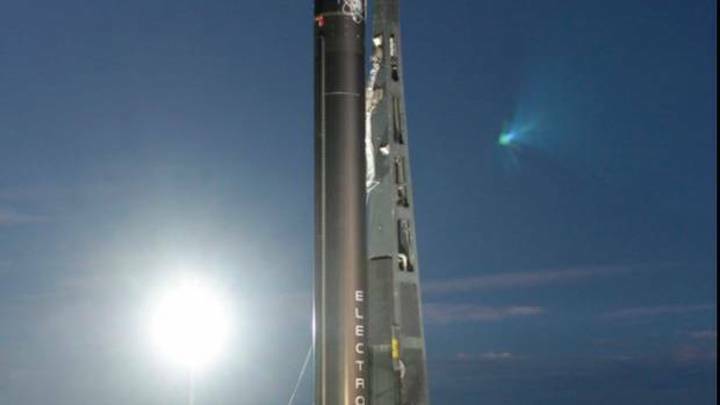 Rocket Lab has announced a new launch window for the third flight of its Electron rocket. 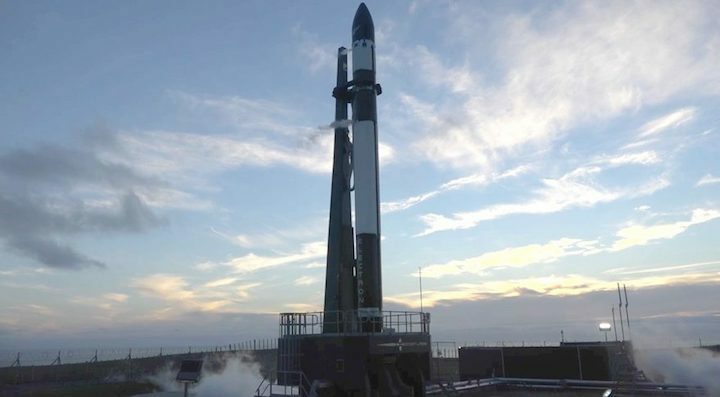 The rocket, named It’s Business Time, is on Launch Complex 1 at Mahia and “gearing up”. The 14-day launch window opens this Saturday and extends to Friday July 6, with daily launch opportunities occurring between 12.30 and 4.30pm. Originally scheduled for between April 20 and May 3, the launch window for the third flight was moved after unusual behaviour was identified in a motor controller during a wet dress rehearsal. The launch team stood down launch operations in order to review the data, identify the root cause of the issue and fix the failure. The two-month delay to Electron’s third flight has allowed Rocket Lab to add additional payloads to the mission. Rocket Lab founder and chief executive Peter Beck says the addition of new payloads to the mission manifest highlights Rocket Lab’s ability to respond rapidly to customer demand in an ever-evolving small satellite market. “Rocket Lab’s responsive space model is crucial to support the exponential growth of the small satellite market. “That a customer can come to us seeking a ride to orbit, and we can have them booked to launch in weeks, is unheard of in the launch business. “Frequent access to orbit is the key to unlocking the potential for these satellites, and Rocket Lab is the only small launch provider enabling this access,” he says. Rocket Lab Launch Complex 1 is the world’s only private orbital launch facility and the site is licensed to launch every 72 hours. Complex 1 is not visible during a launch from any publicly-accessible point on the Mahia Peninsula and limitations will apply to the airspace over the site. Due to the likelihood of postponed or scrubbed launches, Rocket Lab recommends viewing a launch via video livestream, which will be made available 15 minutes prior to a launch attempt and can be accessed though Rocket Lab’s website or YouTube channel. 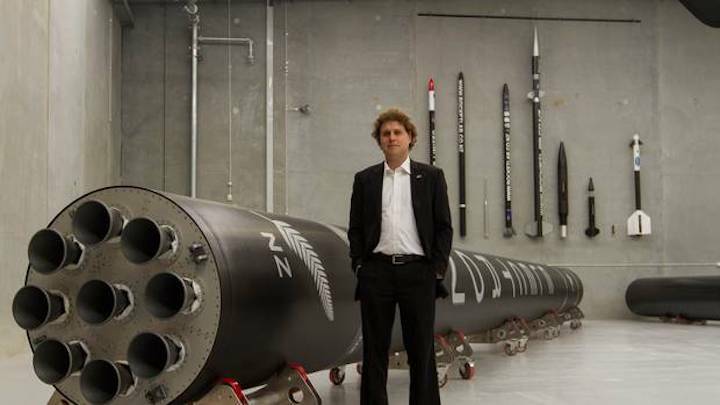 Rocket Lab founder Peter Beck says he is excited about the company's upcoming commercial rocket launch as it looks to complement its Mahia launch facility with others around the world. Speaking ahead of the US-based company's expected rocket launch later this month, Beck said preparations were coming along well. "The vehicle's out on the pad. So we're just going through all the normal pre-flight checks and preparing for the launch window." The company delayed the original "It's Business Time" rocket launch because of a technical issue last month. "We found the route cause of that and rectified the process," Beck said. A new 14-day launch window for the upcoming mission would start from June 23, with daily launch opportunities between 12.30pm and 4.30pm. The launch is billed as the company's first "fully commercial launch'' after two test flights but Beck said he was not feeling any nerves ahead of the launch. "Every flight you are heavily invested in. From a commercial stand-point, we had commercial payloads on the last one. You reach a level of pressure that bottoms out in that fact that its always the same stakes, whether it's a test or a commercial flight and we do our best to prepare the vehicle." The company's launch manifest is now fully booked for 2018, and it already has some bookings years ahead. "Right now we're the only ride in town, the only dedicated small-launch vehicle that's operational and only one of two private companies actually offering orbital launch services. What we're seeing here is just the business model playing out as anticipated." He was particularly pleased the Electron rocket had proven to be a very good vehicle. "It's very pleasing to be able to sign those customers. One of things that we are seeing, that's more exciting, is that satellite builders are actually building now specifically for Electron. So they are designing spacecraft specifically so it can go any fly in the Electron launch vehicle." The company was recruiting four to five new employees every week and was expanding "everywhere" as it entered a "pretty steep growth phase". "We're expanding our factory in New Zealand, our factory in the US, and launch pads. We're expanding at rapid rate. This year [we're] aiming to launch one a month, next year it's every two weeks and we're planning to double down on that." The company aimed to build "various" launch pads at other sites around the world but the Mahia facility - the first of its kind in the world - continued to service the company's needs very well. The payload for the upcoming launch would include (amongst others) IRVINE01, an educational payload from the Irvine CubeSat STEM Program (ICSP), and NABEO, a drag sail technology demonstrator designed and built by High Performance Space Structure Systems GmBH. The NABEO drag sail is a system created to passively de-orbit inactive small satellites. The small sail is an ultra-thin membrane that can be coiled up tightly within a spacecraft and then deployed once the satellite reaches the end of its orbital lifespan. The reflective panels unfold to 2.5sq m to increase the spacecraft's surface area, causing it to experience greater drag and pull the satellite back into the Earth's atmosphere, enabling much faster de-orbiting and reducing the amount of space junk in low earth orbit. The Irvine CubeSat STEM Program is a joint educational endeavour to teach, train and inspire the next generation of STEM professionals. It is comprised of students from six American high schools (Beckman, Irvine, Northwood, Porto la, University, and Woodbridge) in the city of Irvine, California, and powered by private sector donation through Irvine Public Schools Foundation. All systems are go at New Zealand-based space company Rocket Lab ahead of its first commercial launch. As Australia looks set to launch its own space agency, a rocket company across the ditch is about to attempt a milestone launch all of its own. New Zealand-based Rocket Lab will on Saturday make another bid to launch its first fully commercial payload into orbit, in what it says is a major step for the industry. Since testing began, the space company has put four satellites into orbit, and from June 23 has two weeks to get its first fully-fledged business mission - aptly named "It's Business Time" - off the ground. Kiwi chief executive and founder Peter Beck on Friday told AAP all systems are go and the weather was looking good for an attempt on the weekend. 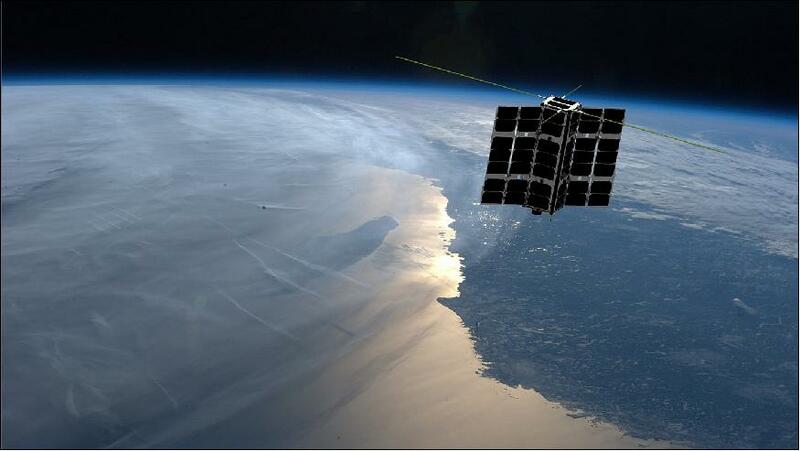 "This marks the beginning of commercial operations to get small satellites to orbit. It's been promised and required for a decade now," he said. "It really does finally drop the hammer on proper, reliable and frequent access to orbit for small spacecraft." 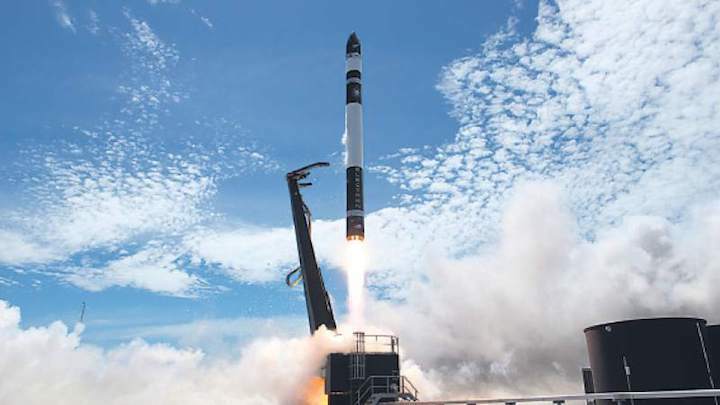 In Mahia - on the North Island's east coast - US-owned Rocket Lab runs the world's only privately-owned launch facility and focuses on small payloads, like satellites. Technical issues stalled the mission's first launch attempt in April. Australia's new space agency gets to work on July 1, with a location for its headquarters to be decided towards the end of the year. The global space economy is worth more than $US345 billion ($A454.8bn), but Australia currently only has a 0.8 per cent share. Mr Beck said future growth in Australia, particularly with satellites, would be a boon for companies such as Rocket Lab. "We see Australia as an emerging market for spacecraft and we actually have a presence there already," he said. Rocket Lab's 17-metre long Electron rockets use 3D-printed engines and can carry payloads up to about 150 kilograms. To meet a swelling 2018-19 launch manifest, the company has rapidly scaled production at its California headquarters. It hopes to be completing a launch every two weeks next year and weekly in 2020. Rocket Lab stands ready to perform the first operational flight of its Electron rocket, named It’s Business Time. The mission will launch four satellites, two for Spire Global, one for GeoOptics Inc., and one for Irvine CubeSat STEM Program as well as one technology demonstrator for High Performance Space Structure Systems GmbH. 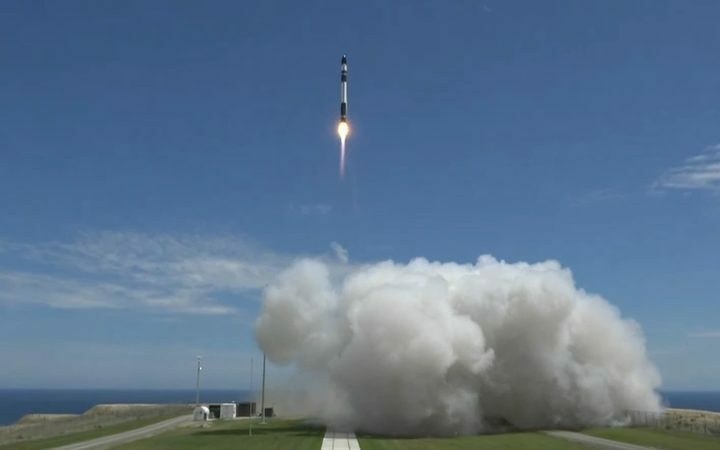 The rocket was scheduled to liftoff from the Māhia Peninsula on Saturday 23 June, local time, but ran out of available window resulting in a scrub. The next attempt will be Monday. 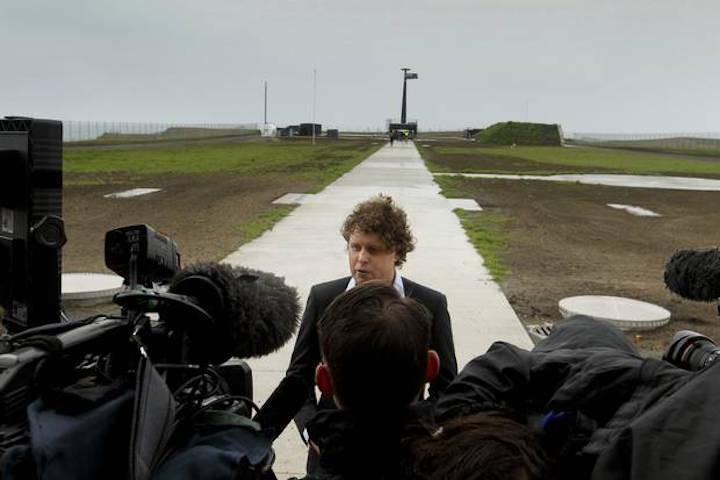 With Rocket Lab CEO Peter Beck confirming that It’s Business Time is on its seaside launch pad at the southern tip of the Māhia Peninsula on the Northern Island of New Zealand, the stage is set for the company’s first operational flight of its Electron rocket following two test flights, one in May 2017 and one earlier this year in January 2018. The attempt on Saturday, local time, was initially held deeper into the window due to cold conditions impacting on the rocket, prior to downrange tracking assets suffering a problem, which could not be resolved in time before the end of the window. For the next attempt, the 7 hour countdown will commence at 05:30 NZST local time at the launch site, at which point Rocket Lab’s launch team will go on console at the Launch Control Center to monitor the final activities ahead of liftoff. All roads to the launch site will be closed at the T-6 hour mark; this will be followed by engineers lifting Electron vertical and fueling the rocket with RP-1 (rocket-grade) kerosene at T-4 hours and counting. The launch pad will be evacuated of all personnel at T-2 hours 30 minutes, and loading of Electron with Liquid Oxygen (LOX) will commence at the T-2 hour mark. This will be followed at the T-1 hour mark with the commencement of the local aviation authority advising aircraft traffic of the launch and the launch hazard areas in an effort to prevent the range from becoming fouled by air traffic ahead of an anticipated on-time lift off. Following final polling of the team and verification of the vehicle’s and ground systems’ conditions, final preparations for launch will begin at the T-10 minute mark, with the autosequence commencing and Electron’s onboard computers initiating the launch sequence at T-2 minutes and counting. gnition of the nine Rutherford engines at the base of Electron’s first stage will be commanded by the rocket’s onboard computers at T-2 seconds. All nine engines will ramp up to full thrust and undergo health checks before the vehicle is released from the launch pad at T0. Based on the computer systems and Electron’s command response capability, should the need to abort the countdown occur after engine start, an abort can be triggered as little as 0.1 seconds before liftoff – with the onboard systems reacting in enough time to prevent the release of Electron from the pad and the safe shutdown of the nine Rutherford engines. 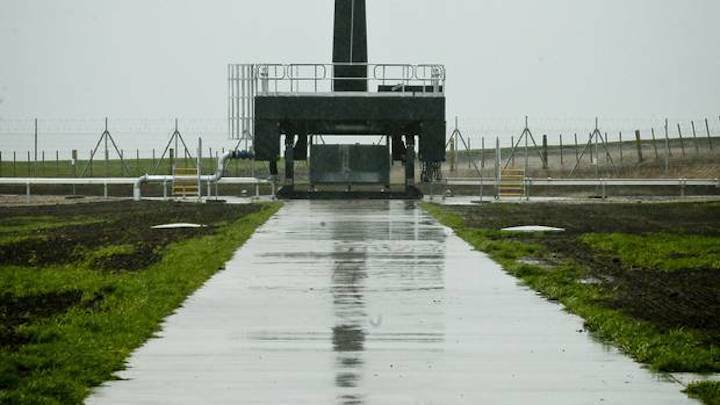 The liftoff will occur from Launch Complex 1 on the Māhia Peninsula – New Zealand’s first orbital launch site and the world’s first privately operated orbital launch site. After lifting off, Electron will pitch downrange onto an azimuth that will insert the vehicle into an 85 degree inclination orbit. After 2 minutes 42 seconds of flight, the first stage’s nine Rutherford engines will shutdown, followed three seconds later by Stage 1 separation. The second stage, powered by a single vacuum-optimized Rutherford engine, will ignite at T+2 minutes 48 seconds, and the payload fairing will separate shortly thereafter at T+3 minutes 6 seconds. At T+9 minutes 12 seconds, Electron will reach orbit; its second stage will shutdown three seconds later at a total Mission Elapsed Time of 9 minutes 15 seconds. Five seconds after Stage 2 shutdown, the second stage will separate from the third stage, the Curie kickstage. At this point, Electron and its payloads will be in a 500 x 250 km (310 x 155 mile) orbit inclined 85 degrees to the equator. In all, It’s Business Time will carry five payload elements, four satellites and one technology demonstrator, to orbit on Electron’s first operational flight. The mission itself is a rideshare between four separate entities and showcases Electron’s diverse rideshare capability on the small satellite launch market. According to Rocket Lab, the total payload mass for this flight is just over 40kg (88 lb), much less than the 225kg (496 lb) payload maximum and 150kg (331 lb) nominal payload mass Electron is capable of taking to a 500 km sun-sync orbit. The total payload mass for the mission is comprised of two LEMUR-2 satellites, a single satellite for GeoOptics Inc., the IRVINE01 CubeSat, and NABEO for High Performance Space Structure Systems GmbH. These will be the 74th and 75th LEMUR-2 satellites launched for Spire Global and the 78th and 79th overall nanosatellites to be launched for the company since their first small satellite was launched in 2013 and deployed later that year from the Kibo laboratory of the International Space Station. Joining the LEMUR-2 satellites is a single satellite for GeoOptics Inc. The satellite was built by Tyvak Nano-Satellite Systems in Irvine, California – the first of two collaborations from Tyvak launching on It’s Business Time. RVINE01 will be the first attempt to successfully launch a high school-built CubeSat in California and on the West Coast of the United States and will allow students to operate the CubeSat to position its antennae, solar panels, and camera for optimal operation as well as collect data that students can practice evaluating and share for further study. The NABEO demonstrator launching on It’s Business Time will use a small sail, an ultra thin membrane, that will be tightly coiled within the spacecraft for launch and then deployed once the satellite reaches the end of its operational lifespan. The spaceflight startup Rocket Lab will launch its first fully operational commercial mission Saturday night (Nov. 10), and you can watch the landmark liftoff live. Rocket Lab's 57-foot-tall (17 meters) Electron booster is scheduled to rise off the pad at the company's New Zealand launch site Saturday at 10 p.m. EST (0300 GMT and 4 p.m. local New Zealand time on Nov. 11), on a mission dubbed "It's Business Time." You can watch the action live here at Space.com, courtesy of Rocket Lab, or directly via the company's website. The launch window runs for 4 hours Saturday night. If "It's Business Time" gets delayed, similar 4-hour windows are open on the following eight nights. If all goes according to plan, "It's Business Time" will deliver six small satellites to Earth orbit, about 310 miles (500 kilometers) above our planet. Those spacecraft belong to Spire Global, Tyvak Nano-Satellite Systems, Fleet Space Technologies and the Irvine CubeSat STEM Program, Rocket Lab representatives have said. The Irvine CubeSat STEM satellite also carries innovative tiny thrusters built by Accion Systems for propulsion. The Electron will also carry a "drag sail" demonstrator, which is designed to prove out technology to help deorbit defunct satellites more quickly and efficiently. Saturday's launch will mark the third liftoff for the Electron. The rocket previously flew demonstration missions in May of 2017 and January of this year. On that latter flight, called "Still Testing," the Electron successfully lofted four small satellites to orbit. The Electron may be a small booster, but Rocket Lab thinks it can do very big things. The company aims to make spaceflight more frequent and accessible with Electron, which can launch up to 500 pounds (227 kilograms) to orbit for about $5 million per flight. Saturday's flight was originally scheduled for April. Rocket Lab delayed the launch repeatedly to deal with a motor-control glitch with the Electron and other issues. Huntington Beach, California. 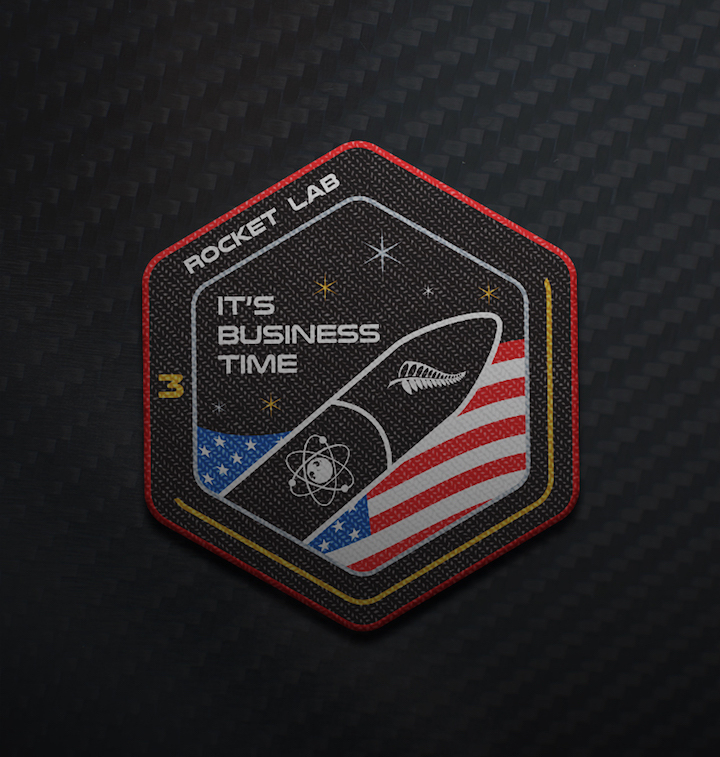 30 October, 2018: US orbital launch provider Rocket Lab has today confirmed the launch window for the upcoming ‘It’s Business Time’ mission. The nine-day launch window will open from 11 to 19 November (NZDT), with daily launch opportunities between 16:00 – 20:00 NZDT (03:00 – 07:00 UTC).